“The collegium has a great reputation and a great location. 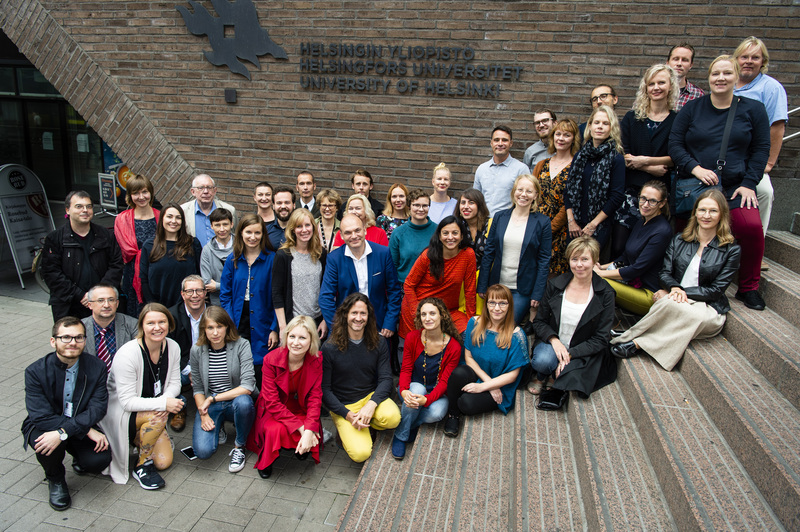 One of the attractive aspects of the Helsinki Collegium for Advanced Studies is that it has a broad spectrum of scholars in various states of their careers. 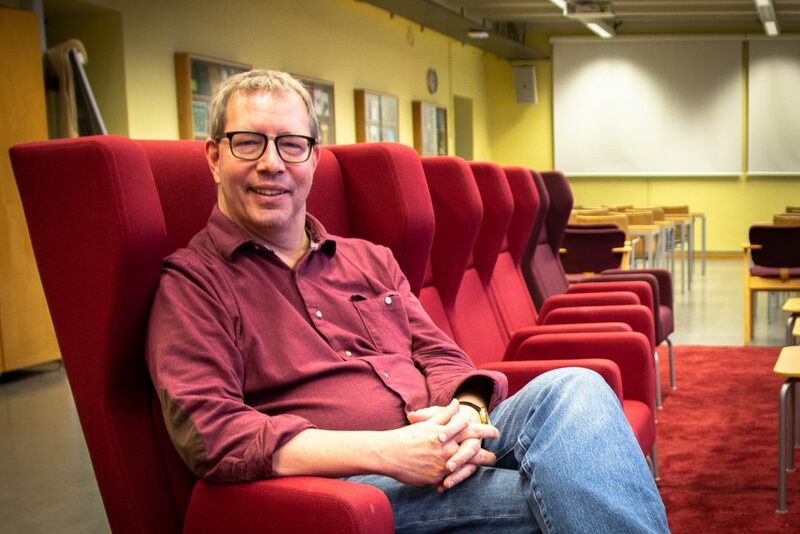 I like that, I like to have that breadth.” Professor Peter Holquist reflects on the last six months he has spent at the Helsinki Collegium for Advanced Studies (HCAS). HCAS has had the privilege of hosting Holquist from the University of Pennsylvania as a Core Fellow since last fall. In Helsinki he has been able to focus on his research concerning the role of Imperial Russia in the codification and practice of international law of war. His time in Helsinki has now come to an end and his next stop is the American Academy in Berlin. Holquist decided to come to Helsinki and the HCAS for many reasons. First of all, he had already visited the city several times, the first time already in 1983 for orientation prior to study in the Soviet Union. Secondly, the University of Helsinki has several research areas of his interest, where especially Russian studies and law are well represented by two of the university institutes: the Aleksanteri Institute is an important center concentrating on Russian, Eastern European, and Eurasian studies, whereas law is well represented by the Erik Castrén Institute for International Law and Human Rights. The Slavonic library of the Finnish National Library (formerly the University library), located right next to HCAS, was also important for Holquist’s decision to come to HCAS. Why Helsinki currently has a world-famous Slavonic library can be traced back to the period of Russian rule in Finland. When the University library was first moved to Helsinki in the 19th century, the Russian government designated the library to be a deposit library to store everything that was published in the empire. This is why the Finnish National Library now has such a stupendously rich collection of published materials, especially of the period that is the key point of interest for Holquist, the last third of the 19th century and the early decades of the 20th century. The Slavonic Library has been very convenient to access and use, and the staff has been remarkably helpful in looking for material also from other Finnish institutions. “The library has wonderful working conditions and an amazingly rich archive. I was able to order several different editions of the international law text books of the scholars that I’m studying. It’s wonderful having the entire run of the shelfs on many of the key Russian journals,” as Holquist describes his experience, when working at the Finnish National Library. For Holquist, one of the great aspects about staying in Helsinki has been the chance to get to know a different cultural environment better. He has greatly enjoyed the openness of Finnish society, for instance the great availability of free public spaces, such as libraries. He has, for example, been able to use the resources of the Finnish National Library, the Library of Parliament and The National Defence University library. Also, Holquist’s wife was able to join him for his stay in Helsinki and, as an independent writer, she has greatly enjoyed the entirely open access to the libraries of Helsinki. 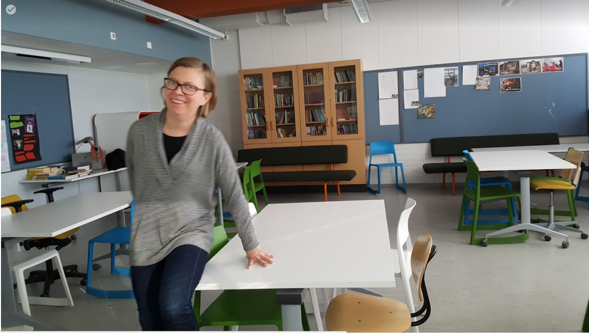 “There was a certain book I couldn’t find that wasn’t part of any of the Finnish university systems, but it was available in one place in Finland, the Library of Parliament, and that library is a public space as so many things in Finland are. They had no trouble giving me, a foreign researcher, a reading card. And to my great surprise, I learned that it’s also a lending library! Most parliamentary libraries that I know of are on site libraries. So, I was able to work on this very fundamental book in my office alongside all of my other materials,” describes Holquist. For Holquist, a collegial working environment and the freedom to focus on one’s research is valuable. What makes HCAS special from many other institutions of a similar nature is the fact that HCAS entails the entire career spectrum of scholars: early career and senior researchers work side by side. Time at the collegium has allowed him to concentrate on conducting research without having to spend time on administrative or teaching duties. 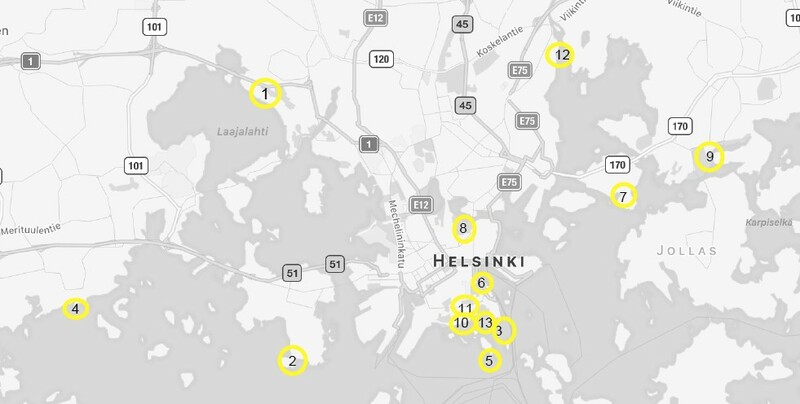 The fact that HCAS is located at the very center of Helsinki, right next to the other essential institutions, has made it a very convenient place for him to work and do research. The possibility to present his own research, to interact with other scholars at the formal Tuesday seminars—as well as gathering at the informal get-togethers on Tuesday evenings—and the winter weather have been a few of the highlights of his stay at HCAS. 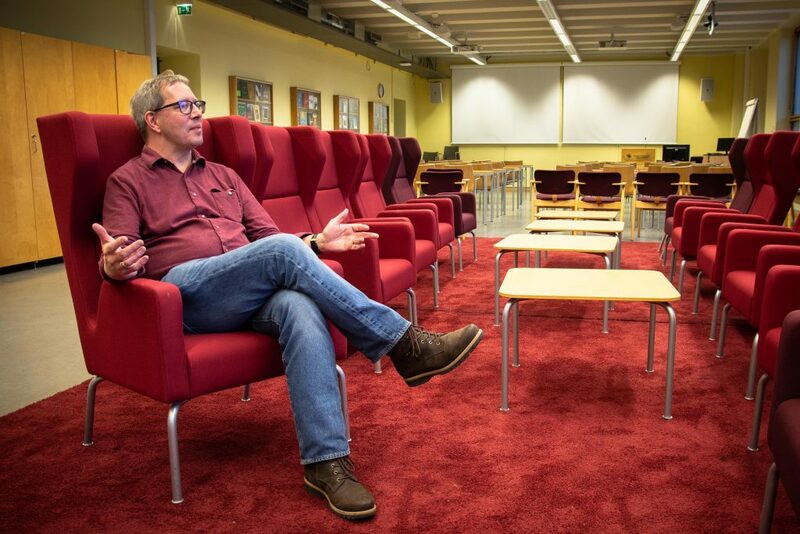 During his stay, he also serendipitously discovered other scholars working on topics closely linked to his own study, both at HCAS and also at such unexpected places as the sauna in Töölö Towers. Holquist is now looking forward to incorporating into his academic writings the material that he collected during his time in Helsinki. He is also preparing his new book under the name ‘By Right of War’: The Discipline and Practice of International Law in Imperial Russia, 1868–1917. Why are you a classical philologist? People often ask me what I do as a researcher. 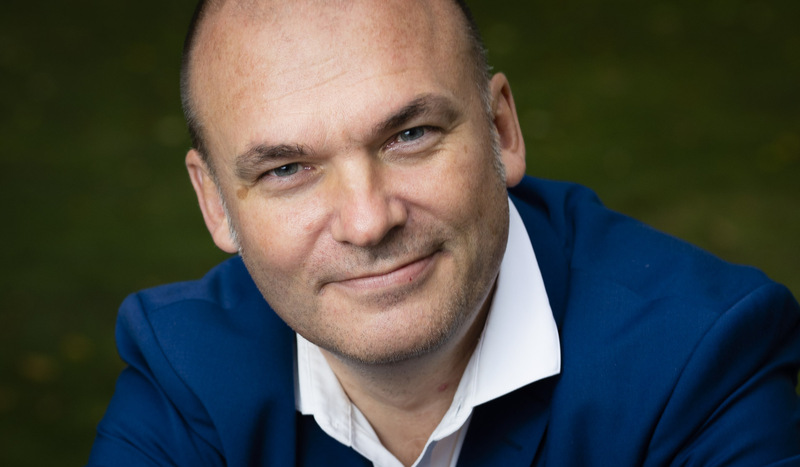 The questioner is clearly not interested in day-to-day practicalities: it is common knowledge that nowadays everybody from physicians to judges and football players to politicians spend as much time in front of their laptops as office workers. What the questioner really wants to know is why I spend so much time in front of my laptop reading or writing about thinkers or civilizations long obliterated from earth. Why don’t I devote my “screen-gazing” time to a more productive goal, such as comparing the number of likes given to one politician’s speech against those given to another, or to making and promoting culinary videos? The immediate benefit of these occupations is obvious and undeniable, while showing what is essentially useful in studying the lives and ideas of people who lived more than a millennium before us – this is a more formidable task. In what way can the experience of these people be relevant to our modern-day lives? And is there any real possibility of accurately interpreting this experience, given that their living conditions were so different from ours that even armed with the richest grammatical expertise in ancient languages we may fail to grasp the sense of some short casual letter inscribed on a piece of papyrus? To this question one often hears the following response: Despite all the cultural differences which separate our age from the ancient civilizations, certain primordial and archetypal, or simply conventional, similarities nevertheless exist between our cultures, which may enable us to discover some useful information (like a recipe for some strong aphrodisiac) or entitle us to happily admit that “They were so clever that they even used bathrooms and plumbing systems as we do!” Though I do not deny an element of truth to this position, I don’t think it does full justice to either ancient civilizations or contemporary scholarship. I believe that our desire to study ancient cultures is due not to some sort of similarity between them and contemporary culture, but rather to the apparent difference between the two. Scholars may be mildly surprised when they start investigating the life of Roman citizens, but as they go further in their study, they are often astonished to discover the prosperity, intellectual and cultural achievements, and general self-satisfaction which many of the past societies enjoyed in spite of the defects of their medical care or transport systems. This fact suggests that our contemporary civilization has not discovered a universal theory of how to procure people’s happiness which would entitle us to look at previous civilizations as at infusoria under a microscope. We do not have the right to suggest that we know the correct method of reading “the book of human history” written on the scraps of papyri, manuscript pages or preserved in archeological finds. How does one read “the book of the past”? However, what seems to me to be rather inspiring in this status quo is that in our perception all the textual and material data that we have represent a continuum of the texts and stories in the book of our past. Versatile and miscellaneous as they are, these texts and stories have worked their way into the same leathery binding of human history, which will incorporate the texts and stories of our generation just as casually as it did with the opera of our ancestors.This simple fact allows us to cultivate in ourselves a healthy humility, which can prevent us from two misleading and, unfortunately, rather popular approaches to the research. The first consists of claiming that we can perfectly understand the texts of the past without bothering to study the historical context and original language of these texts, because there is no essential difference between the past and the present. The second approach exaggerates the gap between various historical epochs to the extent that renders it useless to make any inquiry into historical material because its meaning is unfathomable to us. In my opinion, to find the middle way between these extremes, we should follow the “spirit of intertextuality”, which allows us to see the intertextual connections between the past and the present, the connections which neither blur nor exaggerate the distinctions between the texts and stories of different epochs. Belonging to our generation, we at the same time are the authors and the heroes of our stories as well as the readers of the texts of the past. To navigate in this stream of syllables and meanings, we should remember that the texts of the present are different from the texts of the past and that together they form a unique continuum of human history. In such a way, the all-embracing spirit of intertextuality binds and sews together various disciplines and attaches to them a particular anthropological strand. Whether written a millennium or a second ago, every story in the book of the past concerns human beings. Whatever the initial goals and aspirations of various disciplines may be, they all pursue their long and glorious journey through the universe, just as light travels to the earth unobstructed for nearly 93 million miles and emphatically a few feet above the ground it stumbles upon man and becomes a human shadow. An example of this situation can be easily found in my own research project entitled “Physiology of Human Cognition in the Scientific, Theological and Monastic Contexts of Late Antiquity”. If I were to advocate the necessity and actuality of this study, I could speak about the fascinating brain mapping theory, found in the late antique treatise On the Nature of Man, which I am going to study. Although historians of medicine have recognized that this work contains the first evidence of the theory of the ventricular localization of various physiological functions in the human brain, so far nobody has really explained how this theory could have been formulated without fMRI machines and in circumstances where medical scholars were not even permitted to dissect a human body. Captivating in its own way, this is not the chief interest of my research, because I marvel not at vague and illusive similarities between ancient and contemporary medical theories but at the apparent contrast between the scientific methodological approaches of late antiquity and those of contemporary science. The author of the treatise I study saw no fault in combining the most progressive medical theories of his time with the philosophical and theological concepts of his and previous periods. Thus, he even claimed an analogy between human and divine natures, and in building his theological theory, he heavily relied on the treatises of famous Greek physicians. 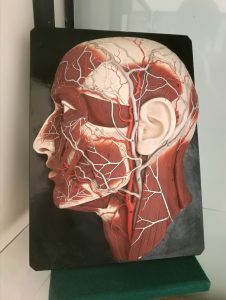 I find it difficult to imagine a contemporary priest using an anatomical or pharmacological textbook in his or her preaching along with (or even more extensively than) the Bible. We all used to believe that a reasonable gap between science and humanities should be preserved in order to prevent our civilization from falling into “the chaotic alchemical obscurity of the Middle Ages”. While solid and legitimate in its own way, this methodological principle cast a shadow on the collaboration between the sciences and humanities, which meant that many of the brilliant theories which were successfully deduced from experience failed to find their way back into the life of people. 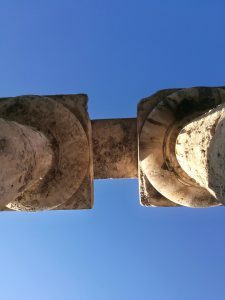 The peculiar skill of combining these branches of human knowledge exemplifies one of the differences between contemporary and late antique societies. This fact inspired me to study and learn from the experience of conducting interdisciplinary research in the past. Different disciplines complement each other not only because a historian may one day discover that their curiosity concerning ancient numerical systems has something of the rigorous interest of a contemporary mathematician, but because both scholars may be startled at recognizing various ways of looking at such a regular and stable phenomenon as a number. Understood in a broad sense, intertextuality is an integral part of successful research, not so much because somebody can reasonably hope that all the numerous aspects of phenomena can be identified and a comprehensive explanation of them provided. To expect and strive for this result would be equal to voluntary (though perhaps unconscious) suicide, because for all the mysteries surrounding the human mind, one thing is more or less clear – it lives as long as it runs and runs as long as it lives. Therefore, there should and, hopefully, will always appear many more questions and fascinating strands to long-recognized and abundantly discussed problems. Eventually, a very practical and obvious effect of this everlasting scholarly thirst is that every generation has the right to discover our universe for the first time and to make it a comfortable and even more beautiful place for us. And this goal can be achieved only if we understand those people whose comfort and well-being we enthusiastically promote. To understand ourselves, we need to compare our society with a different one, which may well be one that lived more than a millennium before us. 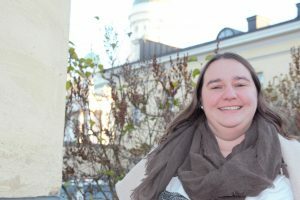 Anna Usacheva has been working as a Core Fellow at the Helsinki Collegium for Advanced Studies since September 2018. Her research project focuses on the physiology of human cognition in the scientific, theological and monastic contexts of late antiquity. More than one month has passed since I began as director of the Helsinki Collegium for Advanced Studies. The first month has been extremely busy but also very rewarding: the new fellows arrived just a fortnight after me and the new academic term has started at full speed. The HCAS is a wonderful, unique place as an interface of international scholars and interdisciplinary research in the field of humanities and social sciences, including law, theology and education – the five faculties of the City Centre campus in Helsinki. My own background is in political science and international relations, but I realized that I have many close academic friends in all these fields, and I have published at least one article in anthologies edited by a researcher from each of the five faculties of the City Centre campus. In fact, back in the late 1980s when I was a University of Helsinki student, I also completed at least some courses in all these faculties (yes, even in theology). And not only that: I cannot escape thinking that I have grown up alongside all the above broad disciplines: my parents were theologians, my dear aunt and godmother was a philologist, my aunts and uncles teachers, and one uncle – as well as my wife – lawyers. The mission of the HCAS is in line with the key idea of advanced studies institutes to produce top-class research that crosses disciplinary boundaries and creates something original. This often means applying the metaphor of building: we do not tear down an old house and quickly build something new and different; instead, we solidify the building’s foundations so that the house can be renovated. For that, fellows need time to focus on their research and the freedom to develop their own agendas. The HCAS also needs to be a community. A strong identity and esprit de corps has been a strength of the institute in the past, and without a sense of community the whole HCAS idea would be lost. The joy of research comes from discoveries and findings that are often very subjective moments, but no researcher would be able to achieve much alone. Although researchers in the humanities and social sciences often have their own projects, sharing ideas with others is crucial. HCAS fellows come to the institute as individuals, but they hopefully leave with many friends and partnerships that might even be more important in the long term than the research carried out during the fellowship. The HCAS mission also includes collaboration with the university faculties. Although the point of the HCAS is to enable scholars to focus on their research, “splendid isolation” may distract the younger fellows from taking the necessary next steps towards teaching positions. Many researchers based in the faculties would also be very happy to get even a glimpse of a famous scholar who has landed at the HCAS for a year. This balance between focusing on research and internal activities vs. teaching and outreach is a longstanding issue often to do with perception and visibility rather than substance. Having a strong esprit de corps is not the same as being inward-looking. Even if the HCAS’s mission concerns the area of basic research rather than policy-oriented knowledge, it can still be vitally important in many different ways. A good example of how the HCAS can be “useful” and reach wider audiences was to promote the lectures on “useless knowledge” that in fact became very popular. When I was the acting director of the Finnish Institute of International Affairs 20 years ago, we used to describe three core elements of research with three Finnish words starting with H: hyvää (good), hauskaa (fun) and hyödyllistä (useful). I wonder what would be the best translation of this slogan. Maybe three Fs: research should be fun, functional and freaking good! One feature of the HCAS known widely in Finland has been to reflect academic practices and contribute to debates on science policy. Here, I see no reason to change course, and I hope that this blog can find readers and contributors and in this domain as well. One of the dreams of a stay at the Collegium is of time to focus intensively on one’s own work, bringing long-dormant writing to publication and having space to do exciting new research and think fresh, fruitful thoughts fueled by discussions with outstanding fellows and other university colleagues. This is certainly to be prized but, for us, our sojourn also enabled a different version of collective working that would not have been possible without the Collegium investment of space, money and time that has been enormously productive and hugely enjoyable. Our experience underlines the point that collaboration is an important method that, in itself, informs the methods of fieldwork and analysis. We tell the story of those methods below. In many continents, the media, politicians and organisations periodically raise moral panics about boys and masculinities. In particular, concern focuses on boys’ poor educational attainment in relation to girls, their disengagement from schoolwork and their propensity for violence. While many researchers have explained that the picture is more complex than a ‘poor boys’ discourse would warrant, there remains relatively little research on boys and masculinities in Finland. 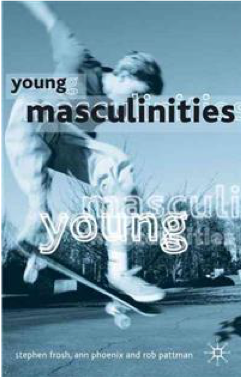 We brought together histories of doing youth research and of studying masculinities in 11-14-year-old boys. We focused on masculinities and ethnicities in three Helsinki schools; this intersection was especially interesting since the ‘migrant crisis’ of 2015 had accelerated a shift in Finnish national identity so that multiculturalism, at least in Helsinki, became more prominent than previously. The three schools we selected differed, amongst other things, with regard to the pupils’ ethnic and class backgrounds. We first asked boys and girls who brought back signed consent forms to take part in group interviews and then invited them to be interviewed individually. The group interviews allowed us to learn about the breadth of issues and opinions on masculinities that were important for boys, girls and particular schools before we explored these issues in depth with individual boys and girls. We asked about the meanings of gender, (masculinity and femininity), about life in school and at home, and general everyday practices for young people. Collaboration was crucial throughout this process. 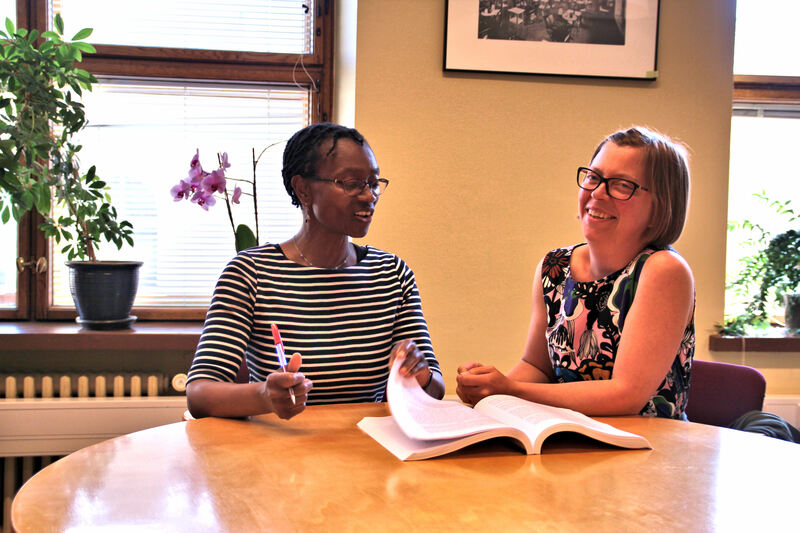 Working as a British-Finnish team enabled us to take a more “international” perspective on the Finnish context while also benefitting from “insider” linguistic skills and knowledge of the Finnish schooling system and society. Since Ann does not speak Finnish, it was Marja, for whom Finnish is her first language, who communicated with the schools and conducted the interviews. Marja wrote fieldnotes of each school visit and each interview and we began a practice of discussing the minutiae of school visits and any issues or interesting points that had arisen as soon as possible afterwards. The Collegium enabled both fairly fast transcriptions of interviews and translations into English, done by the Collegium paid interns Linda Sivander, Anna Koivukoski and Olli Heiniö. The interviews were very different in nature. In a group interview with four boys, for example, jokes were a key way to cope with the potential risks of losing face and place in the hierarchy of popularity; whereas in a mixed-gender interview of two girls and two boys, everybody took care to avoid absolute categorizations and to present uncontroversial views. Gender organized physical positioning and interactions in both groups, but in different ways. In the former group, the boys used joking to signal their distance from girls in general and the woman interviewer in particular, and to try to establish power relations over her. In the latter group, the boys and the girls sat separately and indicated difference from each other by organizing the interaction in “the girls’ turns” and “the boys’ turns”. Another group interview with five boys illuminates well how narratives on gender difference were created collectively. There was a lot of echoing and in the fast-paced discussion, the boys often finished, or tried to finish, each other’s sentences, when creating the story that was presumed to be shared by all the boys present. This meant that they often cut each other off. At the same time, there was (some) room for negotiating acceptable, but exceptional, differences. Luka: Do not use any, face lotion things. Mikael: I do sometimes apply some lotion [laughs] if it is dry but otherwise I do not. Oliver: Yea the kinda, girly clothes and stuff. Marja: Is it well is it then girly anyway, or? Mikael: Well depends on how you do it, slightly. Luka: Famous people, men, they do makeup. Bikram: Yea they do use makeup. Mikael: They do put it on so that they are more visible [laughs] in the photos and so on. Marja: So nobody here in the school? Bikram: I do not know anyone. We conducted joint narrative analysis of the English translations of the focus groups with Marja checking translations against the Finnish transcriptions, sometimes against the audio recording and with her memory of the interaction. We began the analysis of the first focus group interview by reading the whole interview together out loud and so staging it. We first did the reading line by line, covering up the lines below so that we could not see them and read on. We spent a great deal of time analysing the meaning of each line and using the analysis of one line to anticipate what we expected to happen next in the transcript. This method was developed from Marine Burgos’s notion, drawing on Paul Ricoeur’s narratology, that narrators have the difficult task of bringing together disparate events into an ordered and relatively coherent narrative so that there is always a struggle when people have to start telling stories. Even if they are not aware of it, Burgos argues that conflicts are often evident at the start of stories, as are the key issues that animate people’s narratives and the subjective positions that narrators take up in relation to their subject matter. While line-by-line reading was too time-consuming a method to apply to the whole corpus of data, we continued reading the interviews out loud, staging them and discussing our interpretations to ensure that we shared understandings. We analysed both the researcher’s questions and the participants’ responses and comments in this way, on the basis that social interactions are co-constructions where comments and questions produce particular possibilities for response and new narratives. All this sounds rather dry and earnest, but we were often to be found in the Collegium Common Room laughing and drinking tea/coffee around the sun lamp in the winter as we puzzled out what something meant and considered the dynamics of interviews. Having established the habit of Common Room convivial working, we frequently also worked there in the summer when the sun lamp had long been put away. Our point in combining focus groups and individual interviews lies not in comparing the “authenticity” of the different types of data but in increasing understanding of how social context and ways of asking influence narratives of masculinity. Collaboration throughout the process has provided us with a more nuanced understanding and interpretations that each of us might have missed alone. It ensured that our stay at the Collegium was maximally productive. 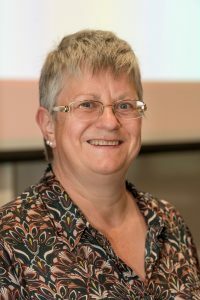 Ann Phoenix held the Jane and Aatos Erkko Professorship at HCAS in 2016-2018. During the 2017-2018 academic year, she collaborated with postdoctoral researcher Marja Peltola on the research project “Masculinities in New Times: 11-14-year-olds in Helsinki schools”. It was a blue-sky day at the beginning of February in Guatemala City, our last day of fieldwork in the community of Arzú (Photo 1) – named after Alvaro Arzú, former Guatemala City mayor and former president of Guatemala (1996–2000). Arzú is a slum located in a high-risk area in zone 18, which is the largest and most populous zone in the northern part of the city. The municipality of Guatemala is divided into 22 zones, with the greatest number of precarious settlements being located in zones 3, 7 and 18 (SEGEPLAN 2015). 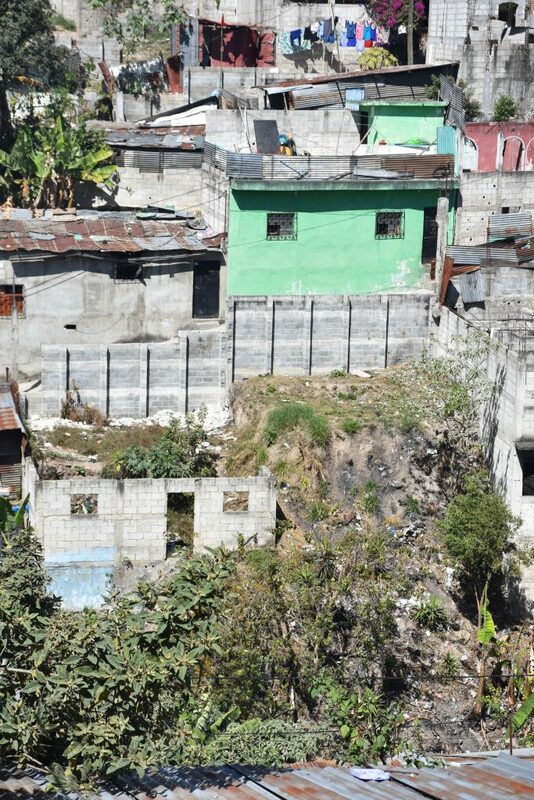 Photo 1: Panoramic view from the community of Arzú (Photo: Florencia Quesada) Many slums in Guatemala City are built in vulnerable places, like the ravines that surround the capital. The fieldwork, conducted in cooperation with our local partners – a local NGO called “Perpendicular” – was both challenging and difficult. [*] The main goal was to conduct interviews in precarious settlements about the daily life, struggles, problems, organisation and perceptions of the inhabitants with respect to violence, insecurity and environmental risks. Local contacts with community leaders and the previous and recent experiences of our local partners working in the communities of Arzú and 5 de noviembre opened the doors rather quickly to a complex urban space. Guatemala City is the largest city and capital in the Central American Isthmus. Its metropolitan area has a population of 2.8 million inhabitants, distributed over 2189 km2 (SEGEPLAN 2015). At the same time, the metropolitan area accounts for the largest concentration of poor people by square metre in the country, with an estimated 412 precarious settlements (SEGEPLAN 2015). In these unequal and unjust urban spaces, insecurity and fear are the daily bread of the urban poor especially in Guatemala City. Nevertheless, nobody escapes from violence in the country. Guatemala is one of the most unequal countries in the world. This extreme social urban segregation, characteristic of Latin America’s urban landscape, is well represented in zone 18. A high percentage of the population lives in poverty and extreme poverty. Some of the slums are located in high-risk areas prone to landslides, flooding and earthquakes. Precarious settlements are characterised by self-built housing, with very limited and insufficient public services and infrastructure (Photo 2). Over the years, and through the organisation of the community, the limited aid of the municipality, the State and NGOs like TECHO, some of these precarious settlements have improved their living conditions and services, but always still working from a marginal and excluded position. As part of the same complex urban panorama, these communities are also very insecure and violent. Certain parts of zone 18 have the reputation of being the most dangerous in the city. Especially in the lower-class areas, youth gangs like ‘Mara 18’ (18th Street gang) and other minor gangs control territory by extorting money from local businesses and public buses and taxis. Doubly stigmatised because of its poverty and the bad reputation of zone 18, daily life in both communities is a day-to-day struggle, as was evident in all of the interviews. Paradoxically, the violence has been normalised: it is now perceived as a central and inevitable part of society. One of the reasons for the trivialisation of violence has to do with being bombarded with sensationalist TV news on a daily basis. Shootings, homicides, kidnappings, assaults and rapes dominate media; they are presented as the norm, the tragic reality that feeds paranoia – a big business for some – exacerbating those imaginaries of fear. Most of the interviewees highlighted how insecure and dangerous the city was by referencing their first-hand experiences, but they especially mentioned their perceptions being influenced by the television news. In a post-war society such as Guatemala (after a civil war that lasted for thirty-six years), the expressions of violence originate from and overlap with a multiplicity of reasons, like State violence, high rates of impunity and corruption, social and economic exclusion of broad segments of the society, to name just a few. Citizens’ sense of insecurity is closely related to the failure of the State to ensure the basic needs and rights of its citizens and to offer security to a majority of the population. Violence is a direct expression of exclusion and inequality and has a devastating impact on the daily life of the urban poor. One of the interviewees, a blacksmith in his late 30s, is at the same time a good and sad example of such structural and daily violence. His self-built house is located on a steep hillside. 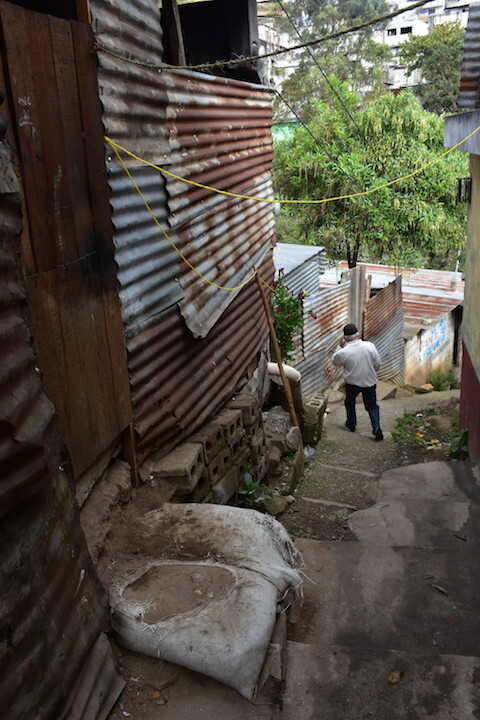 To reach his dwelling at the bottom of the hill, you must first descend the concrete stairs built by the community. Ironically, he earns his living by selling iron fences for the protection of such dwellings. Three years ago, he was shot by a member of Mara 18, the gang that rules the area. The gang member came to recruit his cousin by force, who was working at the time in the man’s workshop. His cousin escaped, he was not so fortunate. The young marero turned to him and started shooting without mercy: four bullets hit him in the arms (two in each arm). While trying to escape, the last one hit his spinal cord; the bullet is still there. He can no longer walk and is condemned to life in a wheelchair. Now his life is limited to a 5×5 space, disabled, without any support or economic aid from the State; his possibilities are quite limited. His extended family – parents, wife and two adult sons – are the only support he has. He seldom goes out of the house since the logistics of going up the steep hill are complex (Photo 3). He has diabetes, which affects his eyesight. His steady gaze is gloomy. Nevertheless, although the gangs are directly associated with high levels of urban violence, they are not the only ones to blame in the multifaceted panorama of urban violence. Gangs are easy scapegoats for the State, helping it to avoid facing the main causes of violence in the region, such as poverty, unemployment, inequality, exclusion and the lack of possibilities to earn a decent living. 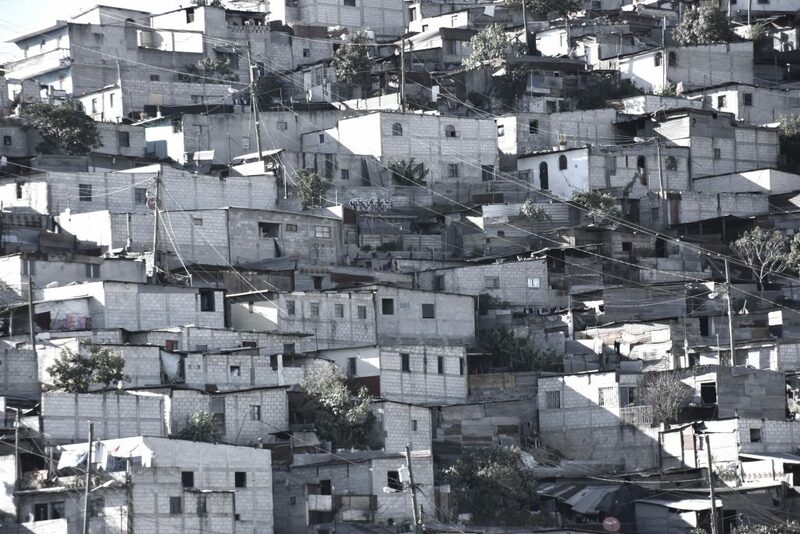 Through this research project, we aim to understand and analyse the dynamics of these complex processes of violence and environmental risks in order to rethink alternatives and offer possibilities for these fragile urban communities, which only keep multiplying in Central American cities (Photo 4). [*]This research is part of a project funded by the Academy of Finland: ‘Fragile cities in the global South: societal security, environmental vulnerability and representative justice’, coordinated by Anja Nygren. The project aims to analyse the roles of new city-authority coalitions, organised civil-society groups and informal network-actors engaged in seeking new ways to manage societal insecurity, environmental vulnerability and representative justice in the fragile cities of the global South. Guatemala City is one of the case studies focused on violence and environmental risks, along with Villahermosa in México, Bogotá in Colombia and Calcutta in India. I started my postdoctoral research project, Convergent Worlds in the Digital Age. New Forms of Participation and Sharing in Transmedial Environments (2017–2020) in September at the Collegium. The project is based on my expertise as a literary scholar and narratologist. However, my aim here is to combine literary theory with research on digital media, social interaction, games and fan cultures in order to analyse the relationship between material artefacts and imagined environments in the art after the digital turn. In this blog post, I briefly explicate one of the key ideas of my project: why is it important to take the process of digitalization into account when analysing transmedia – and, vice versa, how might the analysis of transmedia help to understand the digital turn? Although the ongoing technological change has been noted in transmedia studies, it has not yet been seriously addressed. To get a more thorough picture of the change and its effects on transmedia, I have coined the term transmedial environment, which is designed to cover both of the two layers of contemporary transmediality. Firstly, there is the layer that has already been observed in narrative theory and media studies and is often discussed through the concept of media convergence. It includes “transmedia storytelling”, the practice of using multiple media platforms to create narrative experiences, and the analysis of phenomena such as the transfer of media characteristics from one medium to another or narrative representation across media. Transmediality in this form is an age-old phenomenon, as the dissemination of Greek myth through various artistic media, for example, suggests. Secondly, however, there is a more contemporary layer, which in the current context can be approached as a new environment for storytelling. It is the one of media hybridization: the way (previously separate) media and their techniques and properties get incorporated by the computer, becoming genuinely remixable as a result. Third concept that is often brought up in relation to transmedia is the conglomeration of media owners, but I will not address it here further. Among the most widely known examples of contemporary transmedial environments are franchises such as Star Wars, Harry Potter and Star Trek. All of these include novels, films, games, and so on. 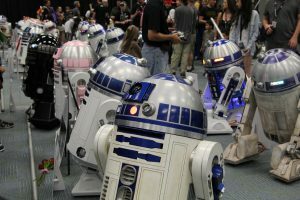 While they have been discussed in relation to media convergence and conglomeration (Star Wars, in particular), the fact that both authoring and using such environments are increasingly facilitated by the computational media has not yet been sufficiently addressed. Quite a few transmedial environments are still created for the purpose of being “storytelling systems”. However, the ancient technology of storytelling is now enmeshed in a software-driven environment. This environment not only has the potential to “transmediate” all artistic media, but also differs fundamentally in its structure and strategies from verbal language, the traditional focus of narrative theory. It is therefore crucial to note that the logics of convergence and hybridization have not only enabled the rapid proliferation of entertainment experiences that combine affordances and properties of more than one medium, but are also being realized in contemporary transmedia. In order to understand the effects of computational environment on practices of storytelling, my project suggests that we look beyond the media objects and their content. Due to the ever-intensifying process of media hybridization, various originally print-based forms of media have begun to acquire properties of computational media. The two crucial markers of the computer’s ontology, the database and procedurality, have brought about a multiplication of narrative and the interplay between a single instantiation and the archive of many possibilities. As a result, there is a definite shift of focus away from objects with a beginning and end towards the underlying patterns on which varied instantiations can be based on. For example, the basic elements of stories – such as characters – can be viewed as process-based instead of being understood as parts of an authored environment that is fixed and not open to variation. This development concerns the processes of both creating various media artefacts and engaging with them. Furthermore, it urges us to challenge the notion of transmedia as centred on a single narrative and content with clearly defined boundaries. In my view, the shift away from beginnings and ends is visible on a larger level in the form of networks. The model of network also means that there is not centre – there are only nodes, connecting to one another, capable of endless expansion. This well illustrates the nature of contemporary transmedia in the sense that the author, the “originating transmitter” is quite impossible to define, giving way to the more communal, networked forms of authoring and creating. From the viewpoint of storytelling practices, this change marks a considerable shift from the model of transmission – and, especially, transmission of complete messages – towards the model of circulation and manipulation of content. Instead of only looking at the ways in which elements such as characters can be transferred (or transmediated) from one medium to another, we could examine processes the characters and the ways they are maintained are based. In many transmedial environments, which can accommodate material indefinitely, new interpretations and instantiations of content are constantly created – and debated, as the heated criticism towards the reimagination of the Klingons and the Federation technology in a new Star Trek television show, Discovery, illustrates. 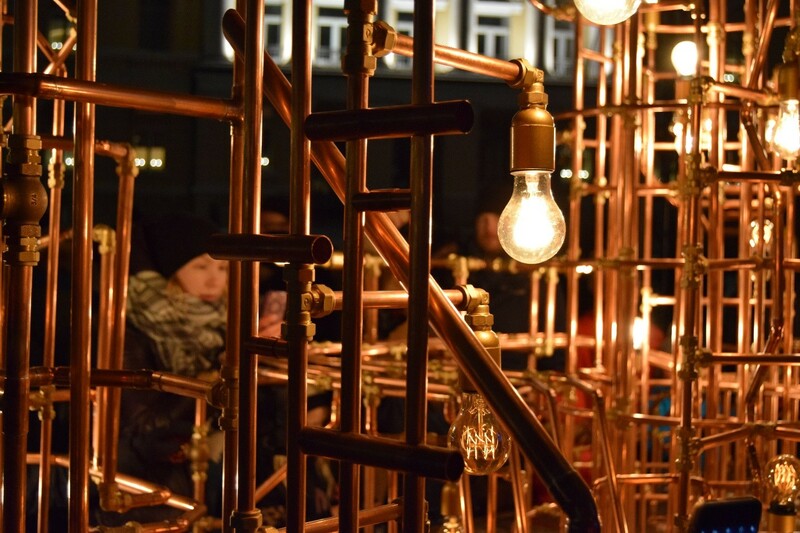 Together, the incorporation of various, previously distinct media by the computer and the network model inherent to the society powered by electronic information and communication technologies prove the importance of digitalization to the contemporary art and entertainment. Especially interesting is the question of narrative multiplication within the larger frame of social networking: while the new forms of participation and sharing do facilitate the fragmentation of old, “culture-defining” stories, the stories told within distinct communities are, more often than not, extremely standardized. 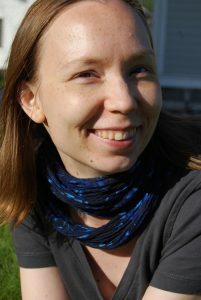 Hanna-Riikka Roine is Core Fellow at the Helsinki Collegium for Advanced Studies. Her doctoral dissertation in Literary Studies, Imaginative, Immersive and Interactive Engagements. The Rhetoric of Worldbuilding in Contemporary Speculative Fiction (University of Tampere, 2016) pursues speculative worldbuilding as a rhetorical and communicative practice beyond textual fictions to digital, interactive, transmedial, and fan fictions. 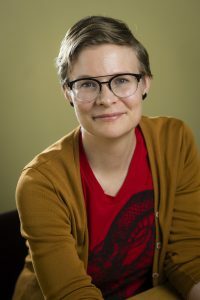 Her current research project combines narrative theory with research on digital media, games, and fan cultures, and aims to provide an innovative way to analyze both the poetics and the collaborative aspects of new creative practices. The title needs a little explanation. 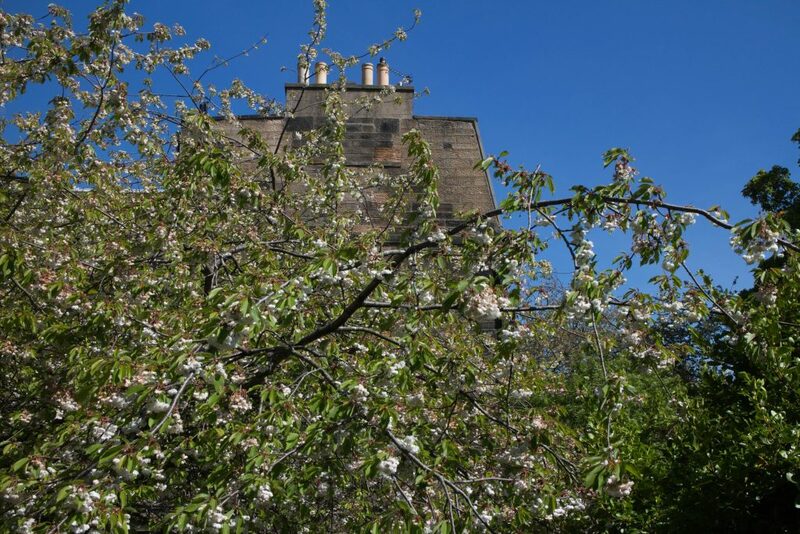 Before taking up my one year EURIAS fellowship at the Helsinki Collegium for Advanced Studies, I was privileged to spend more than three years as Director of the Institute for Advanced Studies in the Humanities (IASH) at the University of Edinburgh. Before that, to give my journey even more context, I was Dean of Research of what is now the College of Arts, Humanities and Social Sciences. I was therefore familiar with IASH’s work before I became Director. And I am a connoisseur of Institutes of Advanced Studies! During my IASH directorship, I had the opportunity to involve myself in the work of a number of international networks in which we participate, including CHCI, UBIAS and ECHIC. I even came to a meeting at HCAS a few years ago. 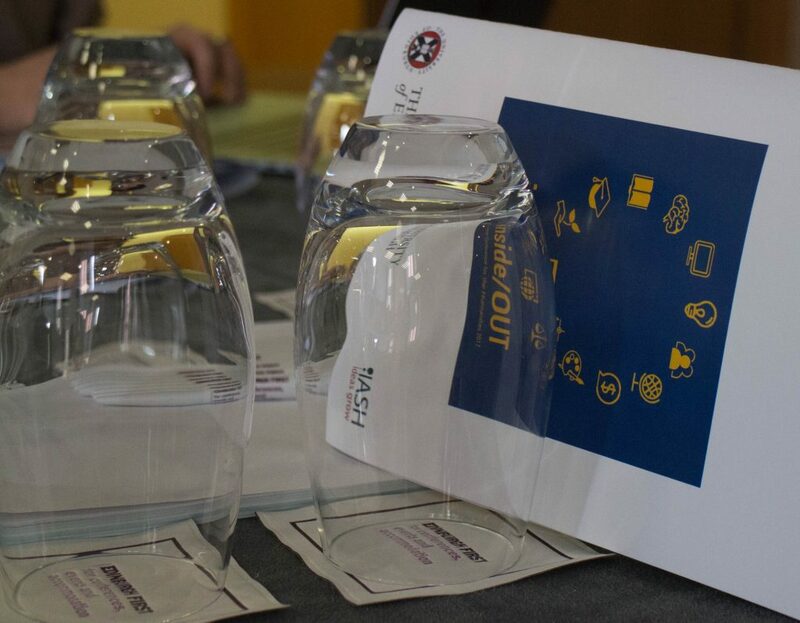 One of the huge pleasures of my time as director was organising and hosting in Edinburgh the 2017 ECHIC Conference under the rubric of inside/OUT. For me, this showcased the best of what humanities centres and institutes (and here I include not just humanities in the narrow sense, but all of the human sciences) can do. The plenary lectures were engaging and broadly focused, highlighting the strong links, for example, between fields of cultural studies and the social science disciplines of political science and sociology. Our shorter presentations and lightning talks were just that: short, punchy, informative. We fostered engagement between scholarship and broader society, with two broader panels focused on populist politics and on IASH’s Dangerous Women Project (another achievement of which I am incredibly proud). And we linked colleagues from universities across Europe with senior colleagues in humanities and social sciences management in Scotland and Ireland, in a very supportive encounter at the Scottish Parliament. At the end of my term of office, I thought it would be good to spend time on the other side of the IAS fence, as a consumer of the values of interdisciplinarity and scholarly community that are the distinctive facets of Institutes of Advanced Studies wherever they are found. I can confirm, HCAS truly is a great place to rediscover your scholarly habits and to (re-)lay the foundations for a research programme. I’m sure it’s an equally apt destination if what you are looking for as a scholar is somewhere to finish a project and to write up some research for publication. It is interesting to muse for a moment on the similarities and differences between my Edinburgh and Helsinki experiences, quite apart from the huge contrast between being director and being a fellow. Obviously the two universities are quite different in terms of history, heritage and organisation, although they are partnered together within the League of European Research Universities. There is, as a result, quite a bit of traffic between them, at the level of senior management and deans, as well as a number of research collaborations that I am aware of. An event was organised by colleagues in Edinburgh’s School of Languages, Literatures and Cultures to mark #Suomi100, highlighting research on Finland or by Finnish scholars in Scotland. During my time as Director of IASH we have regularly hosted scholars from Finland, especially those benefiting from Academy of Finland funding comprising a mobility element. There seems to be quite a lot less traffic in the opposite direction, as far as I can see, although I would be happy to be corrected by others with better data. This is despite the more general interest in Finland as a relatively young, rather small and fiercely independent state that exists in Scotland. I think there are regular visits here from the Scottish government and Scottish public bodies, interested in the many things that Finland gets right and which Scotland could do better at (education and innovation being two such things). Scotland has recently adopted the baby box initiative. The UK as a whole, which has a terrible homelessness problem, has shown an interest in how Finland is tackling the scourge of homelessness. But returning closer to home, it’s worthwhile reflecting on how the two institutes/bodies fostering ‘advanced studies’ continue to flourish in university environments where so-called key performance indicators are becoming the dominant features of everyday life. It is very hard to count the value of giving scholars space and community to flourish. The collaborations that flourish in the environment of an institute of advanced study often take years to come to fruition. In a world obsessed by causality, can we really claim that the residency in the IAS ‘caused them’? New research grants or research collaborations which enrich the university may have been fostered by cross disciplinary discussion and debate within the IAS, or between IAS fellows and scholars in the Schools and Faculties of the host university, but again it is hard to pinpoint causality, or to highlight just what benefit or reward should flow back to the IAS as a result of its contribution to the university’s mission. And notwithstanding the ‘pure’ scholarly nature of the space and time to think offered by each of the two IASs, it is also the case that both Helsinki and Edinburgh are committed to public engagement and to taking the insights of the work of scholars to broader communities. Both IASs see the intense benefits that come from the juxtaposition of different types of ‘creative’ impulse, bringing creative arts fellows into dialogue with those on working within more ‘academic’ schemes. I am convinced that for a university to maintain and develop an IAS it needs an a priori commitment to fostering the benefits of autonomy and scholarly enquiry that are intrinsic to their flourishing. A reductionist and calculating approach to benefits (‘does it wash its face financially?’) is liable to result in the downgrading of one of the most valuable aspects of international academic community, without appropriate staffing and funding. Management structures that integrate the IAS into the host institution, whilst preserving academic independence are vital. That said, IASs, their staff and their fellows also have responsibilities to intensify their collaborations within and beyond the host university and to tell the world all about it. They can no longer be, if they ever were, quiet inward-looking places. Websites, social media, blogs and more traditional scholarly communication mechanisms all have a role to play. In addition, former fellows and other stakeholders need to be kept in touch with and activated for their support, through newsletters and annual reports (pdf), particularly at key times, such as in the run up to anniversaries (hint: IASH goes 50 in 2019!). In my still limited experience, I’m happy to say that both Helsinki CAS and IASH Edinburgh fit neatly into that model which brings together the inside and the outside; I sincerely hope that both will have many years of fruitful work ahead of them, based on their respective mottos of being the place where ‘ideas grow’ and offering ‘freedom to think’. Jo Shaw holds the Salvesen Chair of European Institutions in the School of Law at the University of Edinburgh and is a EURIAS Fellow at HCAS for the academic year 2017-2018. Her research interests lie in the field of citizenship, and you can find out more about her current work by following her blog. Performing with plants is an artistic research project, which started with the question how to perform landscape today, focusing on plants and especially trees. It soon evolved into exploring what it means to be “performing with” entities unlike us. For Michael Marder “the dispersed life of plants is a mode of being in relation to all the others, being qua being-with” (Marder 2013, 51). “Living with” is a core task for humanity (Marder 2013, 53), or, as Donna Haraway writes: “We become-with each other or not at all” (Haraway 2017, 4). Learning from plants could be a way to start. How can we live, exist, act or perform with creatures, with whom we cannot communicate directly, or even ask for their consent for posing for a camera with them? The plant kingdom – to use a term that refers to the so called great chain of being with rocks at the bottom and humans at the top and plants just a few steps above the rocks – is so large, that it is hard to imagine any general way of performing with plants. To perform with blue algae and with a pine tree is very different, I suppose. Although we all do collaborate by exchanging oxygen and carbon dioxide and other chemical substances in the atmosphere. As an artist, I take that common knowledge for granted, and leave it to colleagues working in the field bio art to figure out how to perform together on a molecular level. In my own work, I stick to the level of everyday actions, like sitting or standing in, on, with and next to trees. Since my year at the collegium is ending, it is appropriate to look at what I have been doing. •	Visit the plant where it grows, respect its particular relationship to place. •	Spend time with the plant, visit it repeatedly, although you cannot share the temporality of the plant, respect its relationship to time. Have I found something new? After all, I have worked with a specific mode of rough time-lapse videos for many years now, returning to the same spot, placing the camera on a tripod in the same place and framing the image as like as the previous ones as possible, and doing this for regular intervals, either once (or a few times) a week for a year or every two-hours or three-hours for a day and night. My basic practice has been to gather material for this type of time-lapse works in Helsinki and in Stockholm, for the duration of a year. I have visited two trees (a group of Elm trees and an alder stub) in Kaivopuisto Park in Helsinki a few times every week and two trees (a sycamore in Humlegården Park and a beech in Djurgården Park) in Stockholm once a month or so. These visits are documented with video stills on the RC, but I have not yet edited the videos. Based on my earlier works I have a rough idea what to do and how it will turn out. The trees in Stockholm I will visit once more before Christmas, and the trees in Helsinki a few more times, and that is all. I also recorded two days with specific trees, with two-hour intervals, on my travels, in August on Lofoten (Rainy Day in Rekdal) and in September in Nida on the Curonian spit (Sunday with a Pine). But that is nothing new, the technique was the same as in earlier works, only my tree partners were unfamiliar. One thing that is new, in some sense, is a tree calendar, based on the ancient Celtic lunar calendar, where each month is named after a specific tree or shrub. The tree calendar was not part of my original plan, it just occurred to me I could try to create one in January when I thought of various possibilities. This turned out to be more of a hobby, something extra. I decided to find each tree of the month in Helsinki, preferably somewhere near the shore, and spend 5-10 minutes sitting in it, standing next to it or in some other manner performing for camera with it, depending on the tree. Thinking of the project now, when the video recordings are completed, I realize it did not appear out of the blue; I have worked with Celtic tree lore before. The same trees that form the calendar also serve to mark the letters of the alphabet (beth-luis-nion or birch-ash-rowan). Some of that material was used in creating small site-specific audio plays or recorded monologues to be listened to from headphones hanging from specific trees in a series called Trees Talk or Talking Trees. It is also archived on the RC, here. In the Celtic tree calendar, not all the plants are trees, in the same sense that we are used to think. For instance, the vine, the ivy or the reed are not even shrubs or bushes, strictly speaking. Another challenge is the fact that some of the trees, like the holly, do not grow as far north as Finland. But with some adjustments, like performing with a holly in Kajsaniemi Botanical Garden, with a creeper or “wild vine” (villiviini) instead of a vine, and with an ivy in a pot, I managed to complete all thirteen months. The small videos created each month are available online, here. Looking at the sites of the tree calendar on a map of Helsinki, it seems I chose many of them close to home, and one of them, the alder, although it is a very common tree on the shores of Helsinki, for some reason in the neighbouring city, Espoo. The dates of the months in the list below are based on the following version, in Celtic Tree Months. So now I have short video clips and images for all the months of the calendar. The next question is, what to do with them? Where to show them and how to write about them? My recent publications deal with previous projects related to landscape, not plants. And the book I have been editing together with colleagues, Performance as Research: Knowledge, Methods, Impact focuses on performance as research, not vegetation. Texts on performing with plants, however, will hopefully appear in due time, and will be listed here. And perhaps one of them will describe the making or discuss the implications of this strange tree calendar in Helsinki. Marder, Michael (2013), Plant-Thinking: A Philosophy of Vegetal Life, New York: Columbia University Press. Haraway, Donna J. (2016), Staying with the trouble. Making Kin in the Chthulucene. Durham and London: Duke University Press. My first year at the Helsinki Collegium for Advanced Studies was intense, inspiring and rewarding. While starting a new research project on cultural debates about vaccines, I had the opportunity to finish my second monograph on the cultural dimensions of human population genetics. 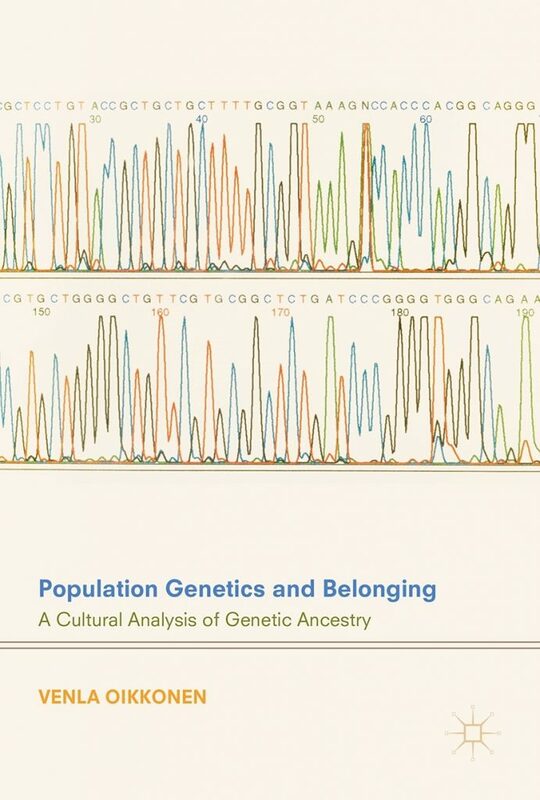 The book, Population Genetics and Belonging: A Cultural Analysis of Genetic Ancestry, was published in October by Palgrave Macmillan. Many of the final details of the book reflect discussions I had with my wonderful colleagues in the Collegium hallways, at coffee breaks, and in our Brown Bag seminars. As the title suggests, the book is an account of population genetics as a means of making communities, identities, and belonging. Human population genetics is a field of science that studies genetic variation within and between populations. The book explores technological practices and cultural imaginaries that population genetics has engendered in contemporary societies. For example, population genetics underlies commercial genetic ancestry tests, which promise to trace our personal roots to prehistoric communities and connect us to people who share genetic markers with us. Population genetics provides the basis for national genome initiatives. Population genetics informs the study of DNA retrieved from ancient human remains, playing a crucial role in attempts to imagine human evolution. Population genetics structures the ongoing building of biobanks, which are meant to accelerate scientific research and pharmaceutical development through faster circulation of samples and information. Population genetics is also present in the marketing of pharmaceutical products to specific ethnic communities on the basis of assumed population-level genetic differences. Moreover, population genetics has been invoked in both pro- and anti-immigration campaigns, revealing the ambivalent relationship between population genetics and politics of inclusion and exclusion. How has population genetics become part of all these diverse projects? How can it support opposite political and social agendas? Why are the tensions and connections between these projects and practices seldom discussed? In Population Genetics and Belonging, I investigate the mutability and persistence of population genetic imaginaries by tracing shifts and continuities in the uses of population genetics from the late 1980s until today. The book explores these shifts and continuities through a range of materials including scientific articles, journalism, popular science books, online genetics websites, and fiction. Throughout the book, my analysis of shifts and continuities in the uses of population genetics focuses on two issues: affect and intersectional differences. Affect refers to the cultural circulation of emotions and the emergence of emotional intensities around objects such as genetic technologies or biological samples. By intersectional differences I refer to how technologies are entangled with assumptions of gender, sexuality, race and class, and how these differences are constituted through one another. I argue that in order to understand the potential impact of population genetics in society, we need to pay attention to how population genetic technologies shape gendered, racialized, classed and sexualized differences, and how these differences become emotionally charged. The theory of “Mitochondrial Eve” developed in the 1980s provides an illustrative example. “Mitochondrial Eve” is the most recent maternal ancestor of all currently living humans traced through mitochondrial DNA inside our cells. Eve is not a specific woman but rather a statistical point of origins in the past where mitochondrial variation among modern humans originates. Through an analysis of scientific, media, and fictional texts, I trace how the theory of Mitochondrial Eve becomes contested, celebrated, and gradually routinized in the early 1990s. I also explore the appearance of another gendered figure, “Y-Chromosome Adam”, in the mid-1990s. While Mitochondrial Eve draws on the idea of an unbroken maternal chain between us and our evolutionary past, Y-chromosome Adam is the most recent patrilineal ancestor of currently living men traced through Y-chromosome DNA. In cultural discourses surrounding population genetics, Y-Chromosome Adam became almost immediately portrayed as Eve’s counterpart, partner, and even boyfriend. This portrayal questioned the initial cultural representations of Eve as a strong and independent woman, as well as contradicted the scientific evidence that placed Eve and Adam at different prehistoric times. Population Genetics and Belonging shows how the figures of Eve and Adam mobilize cultural assumptions of gendered, sexual and racialized differences while traveling across science and culture. The first chapter demonstrates how the pro-feminist and multicultural undertones of the figure of Mitochondrial Eve evoked strong emotional responses in science journalism, mainstream media, popular science, and fiction, and how some of the underlying cultural anxieties were alleviated through heteronormative narratives involving Adam. In subsequent chapters, I ask what happens to these emotionally charged differences when mitochondrial and Y-chromosome DNA is used in commercial genetic ancestry tests, ancient DNA research, or debates about the roots of national populations. All in all, the book argues that genetics and emotions are thoroughly entangled: emotions shape as well as reflect developments around population genetics in society. In particular, emotions arise around cultural perceptions of how genetic accounts of human evolution may reshape social categories of difference such as gender, class, sexuality, and ethnicity. Finally, the book suggests that formations of affect and difference around biotechnologies call for critical exploration also beyond the field of population genetics. 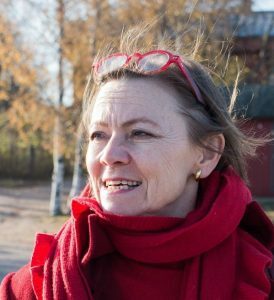 Venla Oikkonen is Core Fellow at the Helsinki Collegium for Advanced Studies. Her research interests include evolutionary theory, genetics, vaccine controversies, pandemics, and theoretical questions related to affect and intersectionality. Her first book Gender, Sexuality and Reproduction in Evolutionary Narratives was published by Routledge in 2013. It’s a question I have come to expect in these last two years, and one that apparently can carry any number of inflections. It comes up as people feign interest during a lull in conversation, try to overcome the awkwardness of standing next to a stranger in line to a complimentary coffee or (my favorite) as a fellow academic, half-sloshed at an end-of-conference reception and with barely hidden incredulity, wonders what could possibly have possessed me. “in the northern and colder regions, where the mouth is more constantly closed, the voice is restricted, and escapes with difficulty”. Being surrounded by quiet and vocally restricted creatures might, as one colleague pointed out rather unnecessarily, give me some personal insight into a practice that is otherwise foreign to me and thus be of value to my ongoing research on silence , but it was hardly an attractive prospect. 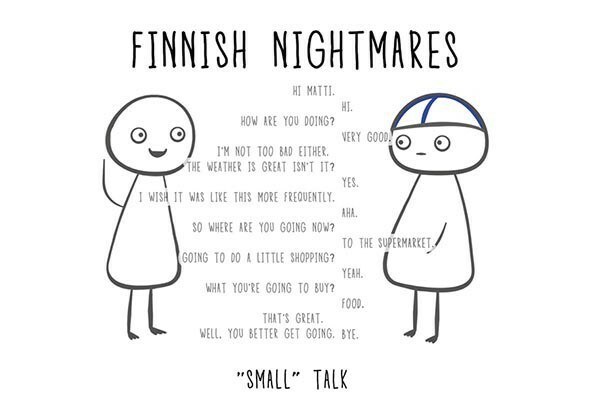 (Incidentally, whilst not all languages have a simple verb for the act of holding one’s tongue, Finnish has several.) And so I generally resort to a very literal answer. ‘What’ brought me to Finland was the Helsinki Collegium for Advanced Studies, and the Core Fellowship I had been lucky enough to obtain in 2015. I have since left the Collegium (my fellowship ended earlier this year), but my experiences and the research I’ve been able to conduct there have certainly contributed to the answer to the inevitable follow-up question: But why did you stay in Finland? As it happens, my introduction to Finland and life at the University of Helsinki was neither cold nor quiet. For a number of reasons, the Collegium is a place that incites discussion and chat. Maybe it’s the comfy sofas of the common room, maybe it’s the particular nature of its inhabitants – a confederacy of rogues who have chosen to leave the comforts of their departments and warmer climes for a while. Or maybe it’s because the mixture of disciplines and nationalities thrown together in meetings and lunch seminars (at which nobody seems to manage to eat) necessitates constant explanation, because the presence of a roomful of sceptics who don’t take the habits of your discipline for granted, encourage more passionate and more emphatic talk. My own research, a ‘social history of the voice’, sitting uneasily on the cross-roads between history of science, sound studies, embodiment and a smattering of musicology, lost its footing completely in such a context. Why limit yourself to mere interdisciplinarity, when there are derailing conversations to be had on other subjects, other theories, other cultures and continents? Why stay within the safety of languages and texts you know, when you are surrounded by fellow nerds who can translate, re-imagine or completely replace your raw material in an instant? And so, instead of finishing the chapters I had set out to write, I branched out into political philosophy, egged on by colleagues with whom I organized a symposium on ‘Embodiment and Emancipation’. Or delved into contemporary orality and rhetorics for the 2017 Winterschool, broadening my notions of vocality with the help of Helsinki’s doctoral students. Or sat in on debates that completely eluded or exasperated me. These collaborations, invitations to re-invent, and occasional collisions, led me toward the new project that ‘made me stay’. In the coming years, I’m getting started on a plan that may look perfectly linear and coherent, but that I know to be made up of reflections on citizenship that would not have been there had I not been pushed to talk about emancipation and democracy, of methodological leaps I owe to some witty remark of a multi-lingual classicist over lunch, of careful considerations of modernity thanks to an angry medievalist,…and many more vocal utterances I may be slightly too obsessively interested in. Luckily, I’m not alone. Guess what the coming spring symposium is on? 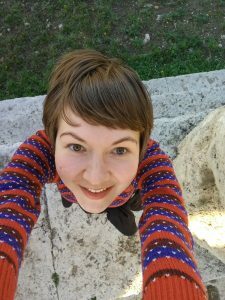 Josephine Hoegaerts (HCAS Core Research Fellow 2015 – 2017), is currently carrying out research at the Department of World Cultures. You can find out more about her work at her TUHAT research profile, and on her blog.